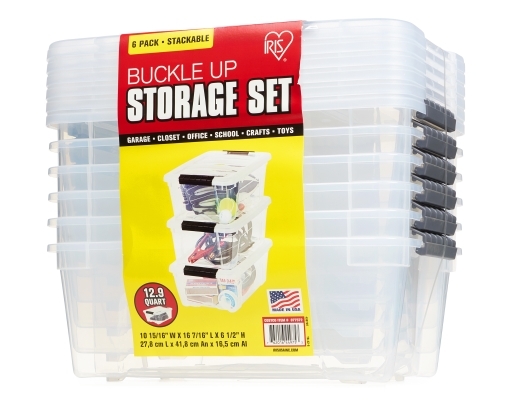 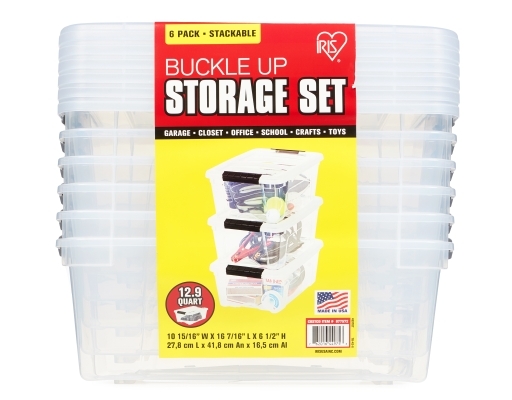 The Buckle Up Storage Set is ideal for creating a customized, modular storage system. 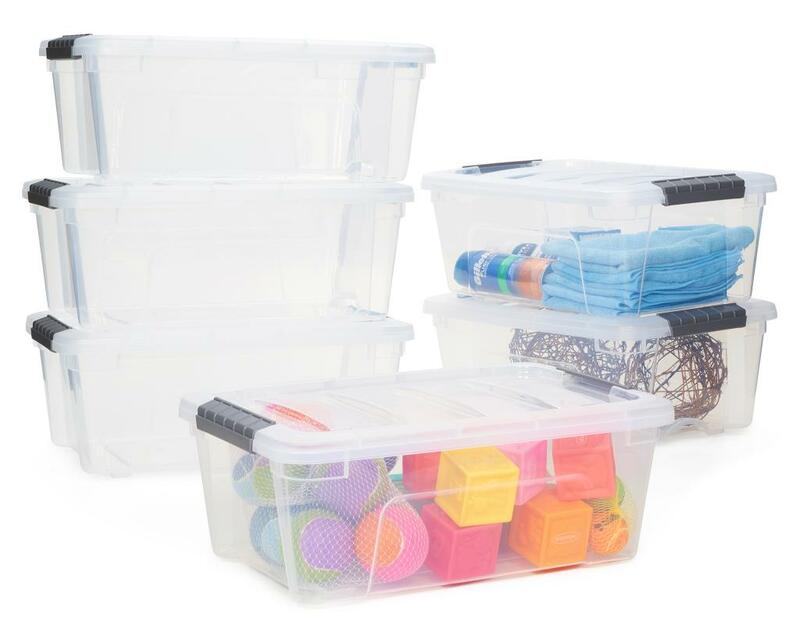 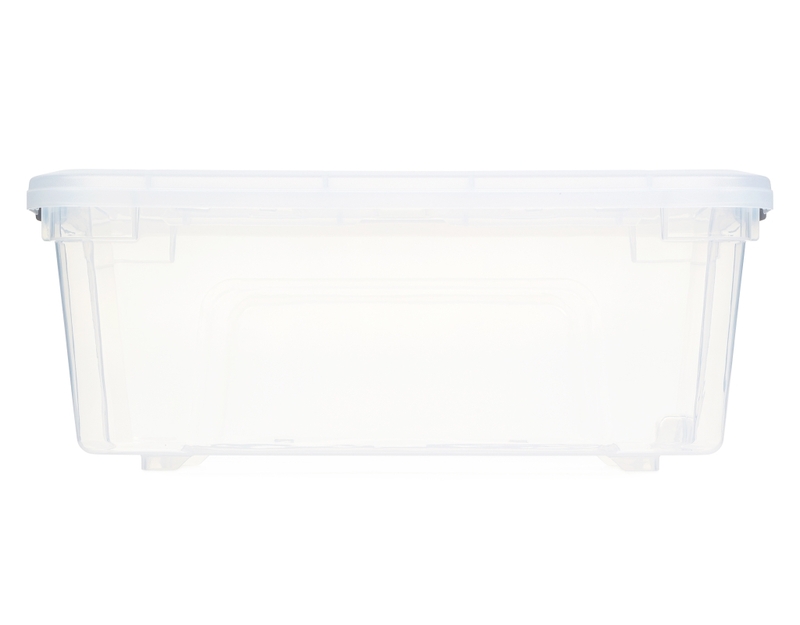 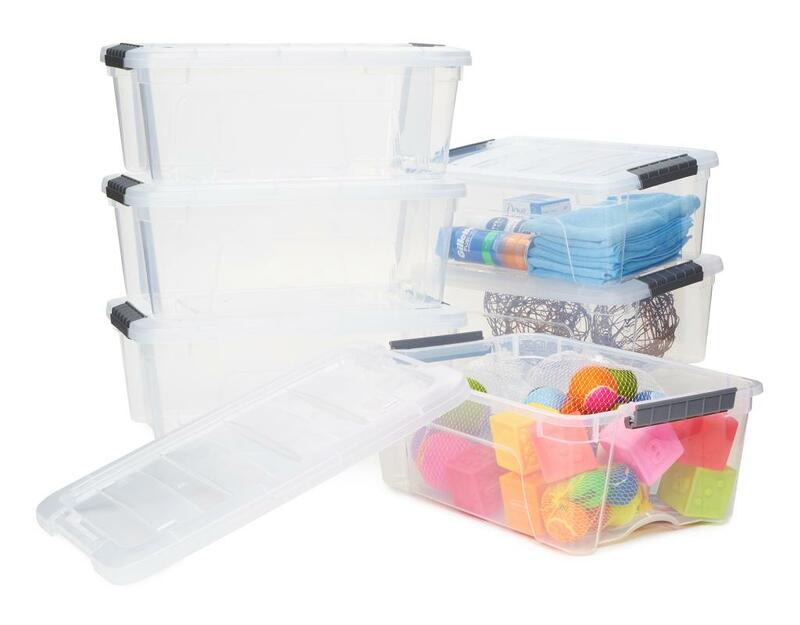 Grooved lid allows you to stack with other bins to store clothing, shoes, accessories, linens and more. 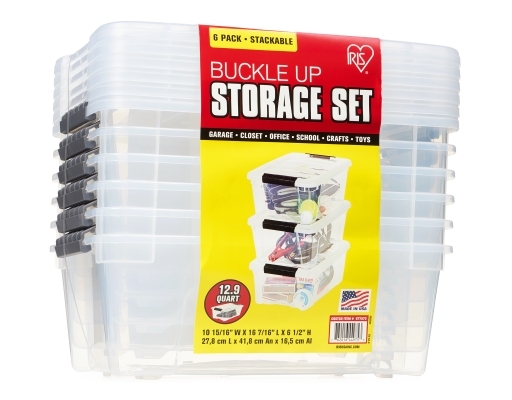 Recessed pull handle allows for easier mobility, and buckle-up latches keep lid securely attached to base.